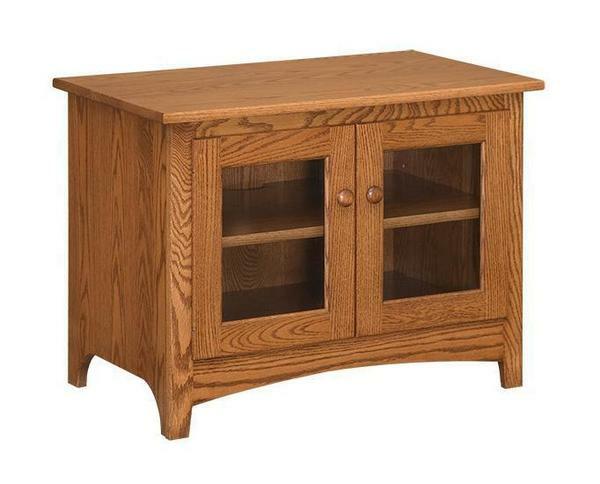 Our Amish made Shaker TV Stand will be the perfect entertainment center for your home media room! Its just the right size for a smaller plasma television. There is one adjustable shelf behind the cabinet doors. Choose to have the doors in solid glass as shown or a raised panel wood door style. This entertainment center is proudly American made from 100% solid hardwoods! Call 1-866-272-6773 for more information.